Home → tips → Why most IAS aspirants fail to qualify IAS Prelims? “I have not failed. I've just found 10,000 ways that won't work.” - Thomas Edison. The classic story of most of the IAS Aspirants starts with a failure in IAS Prelims. One of the common reasons of failure is misunderstanding the importance of Prelims, aspirants take prelims just as a qualifying exam and hence, they do not feel the need to focus on IAS Prelims from the scoring perspective. IAS Exam is one of the toughest exams in the country to crack; normally an aspirant dedicates four or five years of his life so that he/she can become an IAS or IPS officer. Many aspirants with the vision of becoming an IAS usually head towards New Delhi, which is known for its coaching centres and the exact ambience for this Exam. Every year only approx 15000 out of 5 lakh aspirants qualify the IAS Prelims exam, which is not even 3% of the total students. The figures are really depressing as behind these figures lay 97% broken dreams and lost aspirations. But these figures also show that most aspirants are missing the final list only by a slight margin. It represents there is not much difference in IQ, but it is the fundamental difference of approach between the successful and failed aspirant. Some students are so afraid of the consequence of Prelims Exam that they become nervous towards the climax day of the IAS Prelims Exam. They lose sight of what they had studied the whole year and how much hard work has been put in, to finally reach the Exam day. Being Nervous and panic driven is very common during the exam, but the best way to overcome this on the doomsday is to give more and more time-bound tests before the exam and analyse the performance with respect to the type of questions. This will surely help to pacify the anxiety during the exam as you will be confident that even if you don’t know many questions accurately, you are still in the game. But we should always remember only a student who has tasted failure can leisure the true meaning of success. Many aspirants feel that only the IAS Main Exam is the true test of knowledge and intelligence and IAS Prelims is just a qualifying exam. This myth is very important to be broken as soon as possible as no one can reach the top of the ladder without the initial step from the ground. It's a fact that IAS Mains is a subjective examination, which offers more space to aspirants to prove their capabilities through their answers, but this opportunity is unreachable in itself if you fail in IAS Prelims. 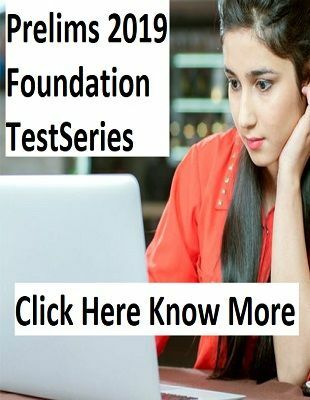 IAS preliminary exam is a true test on how well you have understood the subject as most questions are statements based. The best suggest would be to apply a complementary approach in IAS Preparation. Start preparing static and current portions and mark the important facts as it will be helpful during objective questions and in Main answers the fact will help you support your arguments on a current issue or topic. time management in examTime management is that loose end which you need to tie by practising as many time-bound tests as possible. You must have time to revise the paper at least twice and also change your answer if need be. Set a target time in which you should be able to read the question paper once and quickly mark the answers of questions on which you are 110% sure. On an average, only 40 out of 100 questions in IAS Prelims are direct which you will be able to answer in one go. This first phase should be completed as soon as possible. Try answering as many direct questions as well you can as it is the most scoring part of the examination. Now come the hit and trial game based on how well you remember the facts. This phase is where to attempt questions that you are 50% sure of. This needs time and thinking, hence analyse the questions first and then fill the bubble of answers. If you have already reached up till 70 questions than try to stop. If you don’t give a single test and imagine performing precisely great in the actual exam, then you are living in a myth. More than the exams you need to identify how you react to an examination. Sometimes giving regular tests is more important than studying the various study material because the material is always going to be infinite but your question paper will be finite. Hence, you need to practice to master the finite number of questions in a definite time. Aspirants need to realize that self-assessment before the real examination is more intelligent than letting directing the exam decide your performance and fate. Reading the right material at the right time can do the trick for you in IAS Prelims but at the same time not able to choose where to read from can be disastrous. Many articles, suggestions and posts are available on the internet to suggest what material to follow for the examination, but you also need to concentrate on what not to read. The time you waste on reading the whole yearbook or the full document on any government document can be supplemented to revise the standard books and current event which is in the news very often. 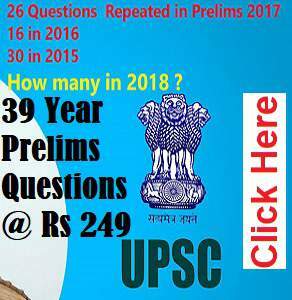 Any successful candidate of UPSC will be able to tell that revision of concepts is far more important in the IAS Preparation than reading any new material. IAS aspirants should always remember that the only mantra to succeed in any exam is to 3R-read revise and re-revise. Most of the aspirants who qualify the exam are often those who are always updated in their revision. They might not be masters of any subject, but what they read; they are precise and accurate about it. The central nerve of IAS Prelims relies on memorising and analysing and both these act can be perfected by revising as many times as possible. Motivation to studyMost aspirants just keep hallucinating about the status and luxury of becoming an IAS officer rather than concentrating the process of becoming one. 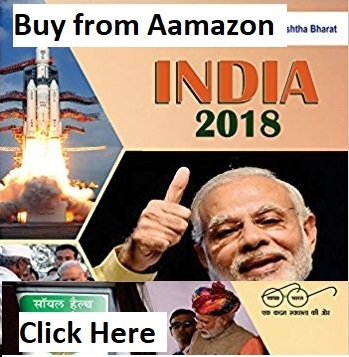 In short, before anyone reaches on any conclusion on how to crack the IAS Exam, it’s important to decode the tricks to qualify the first step of the exam i.e. the Prelims exam. But staying motivated till the time the aspirants actually crack the Civil Services exams remains a tough task for most of the students. And the challenge grows, tougher with every passing year and with every failed attempt. When we get older we start to lose faith in ourselves, we cannot concentrate for as many hours as we could earlier. All of the friends would have moved on. All the people we grew up with have attained successful careers. However, if the aspirant really wants to be a civil servant, so he/she will intend to keep studying despite the fatigues.